If you’re looking for an adrenaline fix, you’ve come to the right city. From shark cage diving to abseiling down the iconic Table Mountain, there’s enough adventure to keep your heart rate up for your whole trip. Here’s a list of the very best adventure activities in Cape Town! Enjoy the sun and fresh sea breeze on a tour of the peninsula by sea with Sweet Waters Adventure Sailing. The vessel fits up to 6 people, and you can take a trip to Chapman’s Peak, Kommetjie, Scarborough, and Cape Point, or to Sandy Bay, Camps Bay, Bakoven, and Clifton. Take along your own drinks and snacks, or ask Sweet Waters to arrange that for you. Pro-tip: ask about their floating piano bar for a unique experience. You heard right—tobogganing in Africa, only you’ll have to swap out the snow for a sleek stainless steel track. 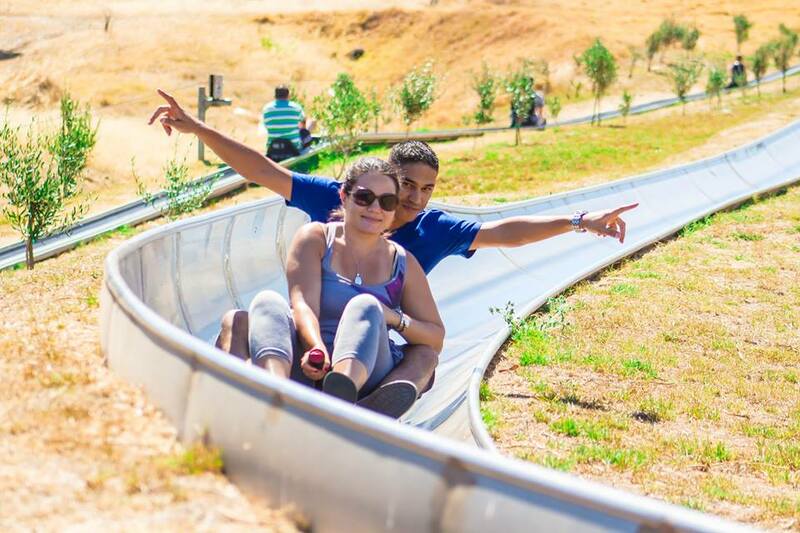 Cool Runnings is the only toboggan track in Africa, where you can enjoy the family-favourite adventure activity under sunny skies. The sled flies down the track, around 17 corners, several S-bends, and a tunnel. You can control your own speed with a break, but adrenaline junkies can easily reach up to a whopping 40km an hour. Table Mountain is our city’s most iconic feature, and while most choose to hike it or take the cableway, the adventurous among us have another option. Abseil Africa offers visitors a chance to take on the highest abseil in the world, at 1000 meters (3280ft). And you couldn’t ask for a better view on the descent. Paragliding offers you a chance to experience the city from high above, and enjoy the peace and quiet that comes from soaring far above the city. Skywings Paragliding can arrange this unforgettable experience, and even if you aren’t an experienced paraglider, tandem instructional flights are available. If you like your adventure to be packing heat, look no further than Gun Fun. Here you can lay your hands on assault rifles, AK47s, Glocks, and the classic 12 gauge shotgun. Choose from various packages like the 007 shooting adventure or the Femme Fatale experience. There are private shooting lanes, as well as a lounge and training area. A bucket list of adventures wouldn’t be complete without skydiving, and where better to do it than one of the most beautiful cities in the world? 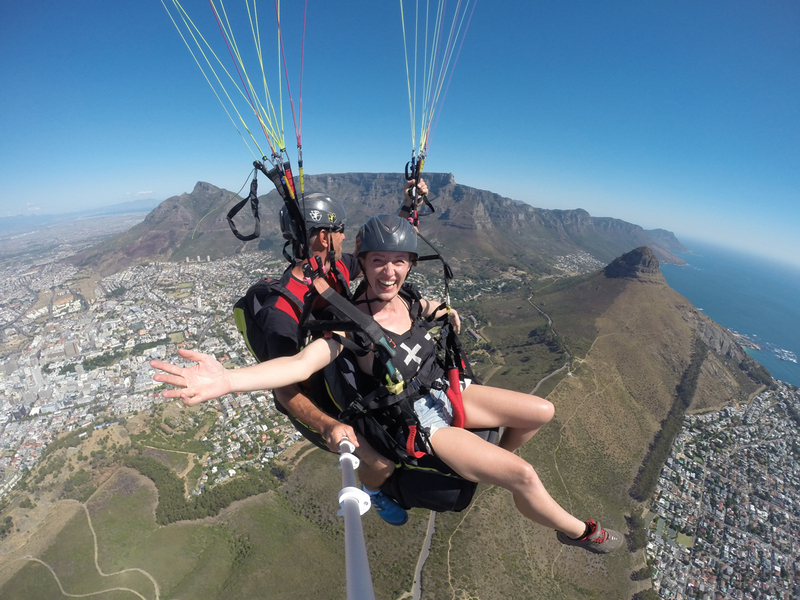 Feast your eyes on Table Mountain, Robben Island and the bustling Table Bay Harbour as you glide effortlessly through the clear blue sky to the ground below. Get in touch with Mother City Skydiving or Skydive Cape Town for one of the most memorable experiences of your life. There are few things as majestic as the ocean’s apex predator, and Cape Town is one of the best places in the world to get up close and personal with these amazing animals. Cage diving in Cape Town is safe and environmentally responsible. Most tour operators take conservation very seriously and are dedicated to operating tours in ways that will have the least impact on the environment, the natural habitat, and behaviour of the sharks. 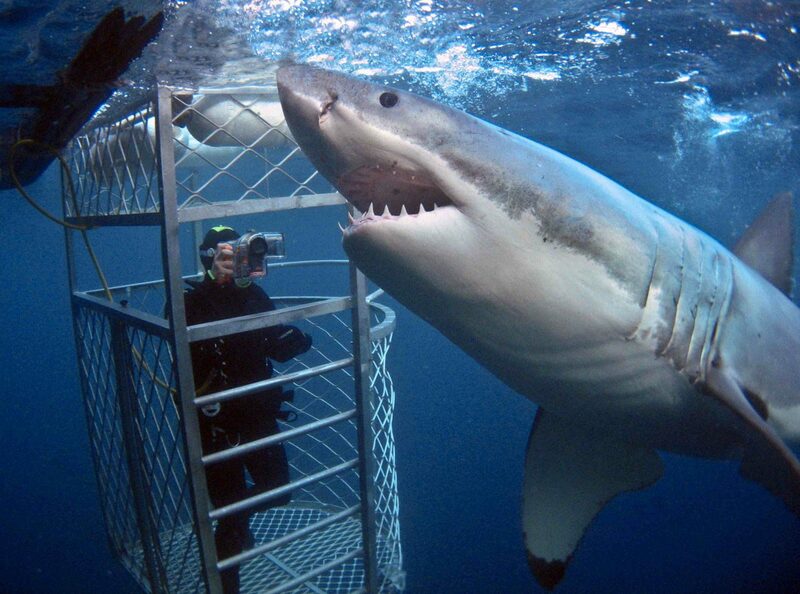 Check out our article on shark cage diving in Cape Town for a list of operators accredited by Cape Town Tourism. If you want a one-stop solution for all your adventurous needs, Cape Xtreme Adventures can sort you out. Everything from shark cage diving to sand-boarding and skydiving, and much more is available through them. You can choose from ready-made packages or choose your own adventures, and they’ll tailor a tour package according to your interests. 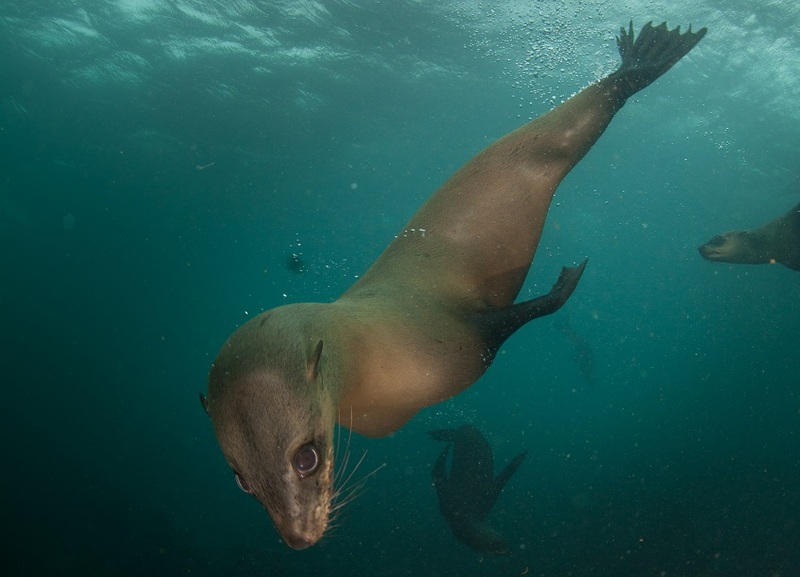 If you’d rather meet a friendlier creature under the sea, try snorkelling with seals.m Cape Fur Seals are adorably nicknamed “the puppies of the ocean” for their playful and curious nature, though at up to 300kg, these are some pretty big puppies. Cape Town Bucket List will provide the wetsuit, mask, snorkel, fins, and a short training session to make sure you are comfortable in the water.